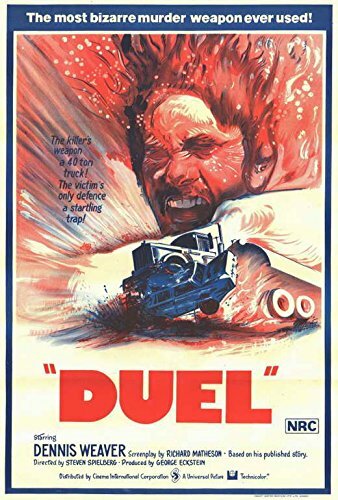 Continuing our 70's car movie theme (and our political discussions... sorry, fast forward ahead 15 - 20 mins) Matt and Mark review the inaugural Spielberg outing Duel. A made for TV movie, it's simple Plymouth vs Peterbilt road rage spectacle is not so much about the literal mechanics of the setup, but a psychological experiment. The Dennis Weaver character in his modern man impotence is an avatar for our own anxious helplessness. What makes Duel interesting is the "what would I do?" dynamic in each of its scenes. If the impotent David Mann was more a stoic Mad Max character, this film would fall flat. It's our annoyance of David Mann that makes this film relevant.